at call hard waste collection each year. General waste is collected weekly and alternate fortnightly pick-ups are scheduled for recycling and green organics. Check your collection calendar and map for bin collection days. The City of Norwood Payneham and St Peters also provides its residents with a basket and compostable liners to collect kitchen waste – this can be put into the green-lidded bin with your green organics waste. Missed bin day? Get in touch with us to arrange collection or report a problem. East Waste also manages bin repair and replacement for the City of Norwood Payneham and St Peters – contact us to organise this service for you. Has your bin gone missing or been vandalised? Click here to download and submit the form to East Waste. Do you require a new bin service? Click here to download and submit the form to East Waste. Do you require an additional bin service? Click here to download and submit the form to East Waste. Click here to cancel an additional bin service. 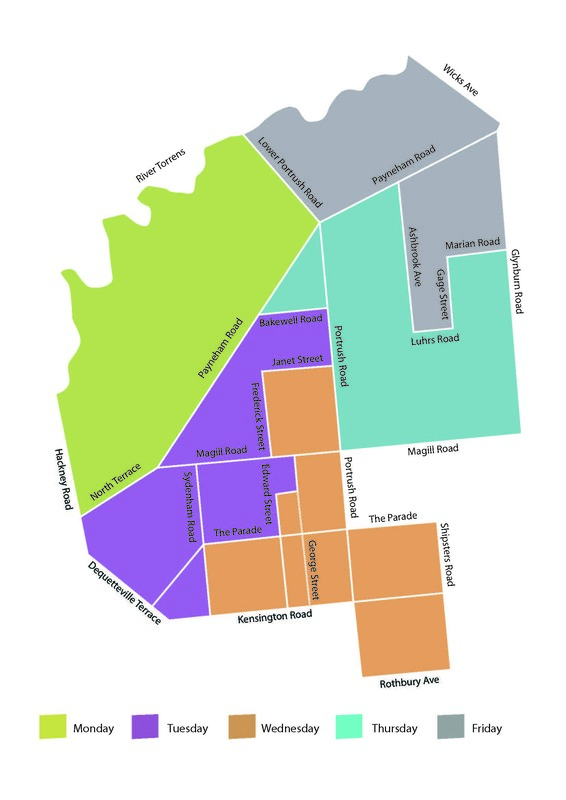 We collect hard rubbish for City of Norwood Payneham and St Peters residents and each household is entitled to one free ‘at call’ hard waste collection (up to two cubic metres, about the size of a standard trailer load) each year. Book your hard waste collection. East Waste and the City of Norwood, Payneham and St Peters are working together to reach the goals and targets outlined within the State’s overall waste strategy as well as the City’s specific goals in CityPlan 2030: Shaping Our Future. substantially reducing our City’s ecological footprint. Find out more about East Waste’s commitment to the environment and our waste management and recycling processes.